Amateur Radio – The Original Open Source Project! Hey, there is a very popular magazine among the open source crowd wich has dedicated its Janualy 2010 issue to amateur radio software. When you think about it, it does seem a bit strange that the majority of software for amateurs is written for the plug and play folks. I know, I can hear you say that the answer to that riddle is simple. Windows is the most popular (widely used at least) operating system in the world. Writing software for Windows gets you the most exposure and it’s easy. Unlike LINUX , you don’t have to be concerned with drivers and there are no library dependencies to struggle with. While Windows is the most convenient to install with its Wizards and Cartoons (graphics), doesn’t it kind of fly in the face of the roots of our hobby? Where is the challenge in plug and pray (play) guys? Does the functionality of “plug and play” have some hidden symbiotic relationship with the term appliance operator? Just joking guys. Wait! I am not suggesting that time should be dedicated (wasted) rewriting complex software for the hell of it. But it sure would be nice to see more ham radio software available (along with the source code) for the open source platform. As the article goes on to say, amateur radio really was the “first open source project”. I’d agree with that as the author, David A. Lane KG4GIY explains it. In any event, if you have an interest in amateur radio software and the open source operating environment, take a look at the article. There are links to other LINUX resources on the Linux Journal site. Perhaps you will pick up a copy of the January 2010 issue of Linux Journal. David A Lane KG4GIY has been licensed as an Amateur Radio operator since 2000 and has been working with Linux since 1995. David steps in as Linux Journal’s guest editor for this special issue. During the day, he is an Infrastructure Architect. During an emergency, he is an Emergency Coordinator for Prince William County ARES. And on weekends, he makes pasta! What is your opinion of open source software and the LINUX operating system? 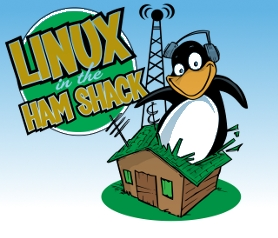 Do you use LINUX in your shack? If so, what applications do you run? Fight The Power! AA6E recently posted a very nice article about LINUX Open Source Software and Ham Radio on his blog. I appreciate this more than others. Here’s why! During my long journey as an IT Engineer, there were many under-the-radar “Skunk Works style projects” where I implemented OSS on LINUX. However, I was considered a corporate techno-anarchist of sorts because LINUX and OSS fell outside the scope of the corporate mind-set ( not that there was ever much of that anyway). Here’s a subset of AA6E’s first paragragh. Take a minute to read it and then follow the link to the remainder of the article. How to explain to a non-computer-geek ham what Open Source Software and Linux are all about? OSS and Linux are important to software users the same way a good repair manual and schematics are important to hams. Not every ham knows what to do with schematics, but those who are inclined to open up, understand, repair, and modify their equipment certainly do. Before you jump off, there’s two ideas I want to mention. Of course, it assumes you are interested in digging the old P4 out of the closet and loading the very best KERNEL of all time. One choice is to download and burn yourself a copy of CENTOS. CENTOS is what we in the trade call whitebox Redhat. In a nutshell, CENTOS is an exact replica of Redhat with a huge advantage. Since it’s been totally recompiled and is freely distributed, you don’t need a subscription to get the O/S and package updates. What’s the drawback then? Keep in mind though that CENTOS is not an O/S for those who want nothing more that another plug an play environment like the one you are probably using right now. There is some work involved to make certain things work (like plug-ins inside of Firefox). Hence, the second recommendation for the experimenter in you. UBUNTU is also a 100% free and open source operating system. There are variants for normal desktop use (for hams) and an educational and children’s version as well. What??? UBUNTU? Where does that come from? Ubuntu is an African concept of ‘humanity towards others’. It is ‘the belief in a universal bond of sharing that connects all humanity’. While I have not been digging around on the UBUNTU site lately, I have experimented with it in the past. Since I am the ultimate techno-nerd, I gravitate toward choice number one. As I recall, you can submit a request for your very own copy of the O/S on the Website and receive it for free – nada – zilch ! Yep – no strings. Of course you can also download and burn yourself a copy. For the plug and play oriented crowd this O/S will bring you closer to the wonderful world of Windoze. I always ask for comments guys! Some are very generous while others are the meek of the earth. For god sakes… if you have something to say about LINUX or OSS, go for it! Use a fake name if you want. It’s all for the betterment of the Ham community at large. If you can’t say too much enter “like” or “dislike” in the comment field (believe me, I have thick German skin and a skull to match! You would have to go a great distance to offend my poor writing skills or lack of subject matter! ).